President Trump on Tuesday raised the prospect of wiping out hurricane-ravaged Puerto Rico's crushing debt load. "They owe a lot of money to your friends on Wall Street. 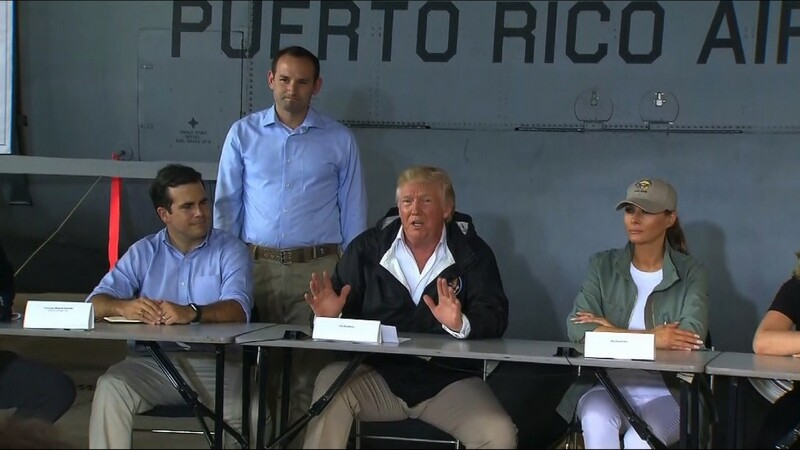 We will have to wipe that out," Trump told Fox News' Geraldo Rivera in an interview in San Juan, the Puerto Rican capital. The U.S. territory has been struggling with a financial crisis for years. 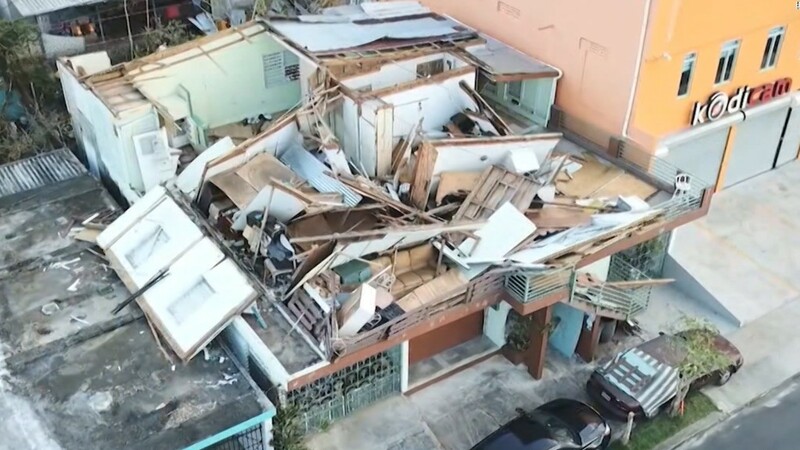 And that was before Hurricane Maria slammed into the island two weeks ago, causing widespread devastation and leaving millions of people without power or water. Puerto Rico's huge debt burden -- totaling $73 billion -- forced it to file in May for the biggest U.S. municipal bankruptcy in history. "I don't know if it's Goldman Sachs, but whoever it is, you can wave goodbye to that," Trump said in the interview, which aired late Tuesday. "The debt was massive on the island." But in reality, Puerto Rico owes most money to regular Americans. Less than 25% of Puerto Rican debt is held by hedge funds, according to estimates by Cate Long, founder of research firm Puerto Rico Clearinghouse. The rest is owned by individuals and mutual funds that are held by mom-and-pop investors. "For the most part, Main Street America owns this debt," Long said last week. "It's not as though these are vultures circling around the island." Trump told Fox on Tuesday that "we are going to work something out. We have to look at their whole debt structure." It wasn't clear whether he was talking about the possibility of some kind of government bailout or a restructuring of the island's debt that would impose losses on investors. White House officials didn't immediately respond to requests to further explain the president's comments. The island's government has been fighting a messy legal battle with its bondholders, who have filed dozens of cases that often involve parties with competing interests. That makes it really hard to resolve the situation and threatens to complicate the territory's recovery efforts by cutting it off from borrowing money for years. Trump, who has plenty of bankruptcy experience from his business career, could try to bring the various parties to the bargaining table to reach a deal. "Puerto Rico cannot go forward with all of this litigation hanging over it," Long said last week. --Dan Merica and Steve Brusk contributed to this report.